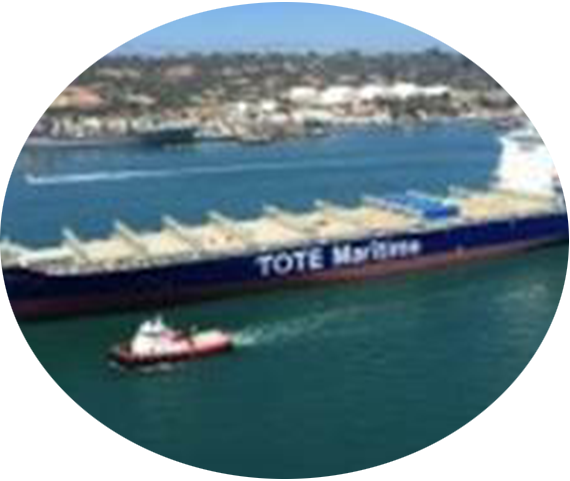 TOTE MARITIME PROVIDES SAFE, RELIABLE TRANSPORTATION. Tote Maritime provides safe, reliable transportation for the Puerto Rican and related Caribbean trades. Our high speed lift-on/lift-off vessels are the most versatile in the trade and are supported by a seamless network of port facilities, support systems and inland transportation resources. Twice weekly sailings between Jacksonville, Florida and San Juan, Puerto Rico.